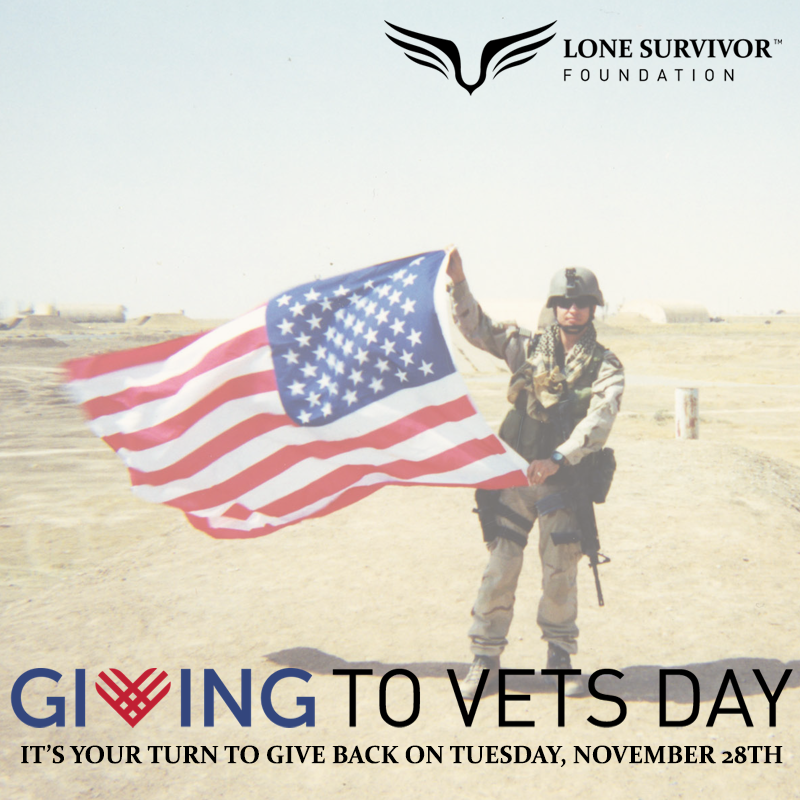 Please feel free to use the text and images below to help mobilize more supporters for Giving To Vets Day 2017! Click on the images below to open the full sized images, then right click on the full size images to save them to your computer. Highlight and right click any text you’d like to use. Join me in supporting wounded service members on #GivingToVetsDay, November 28th. 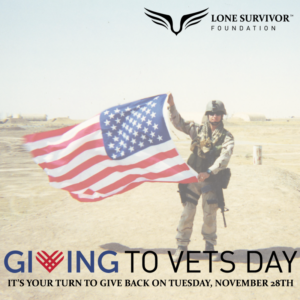 All proceeds benefit Lone Survivor Foundation’s mission to restore, empower, and renew hope to wounded service members and their families through health, wellness and therapeutic support. 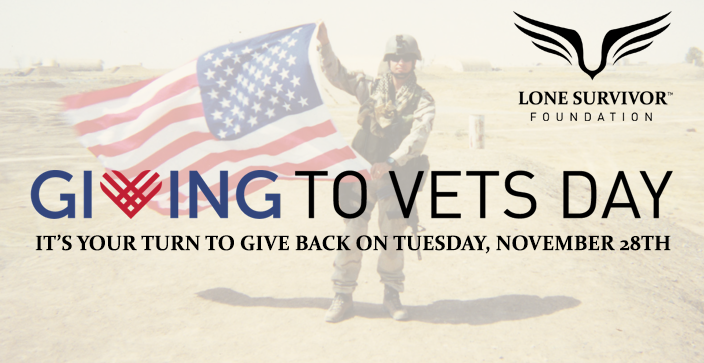 Find out more at bit.ly/givingtovetsday! For help or questions, please email Kelly.